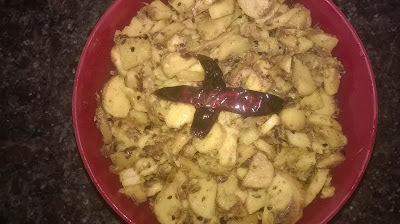 Sukhi Arbi ki sabji is awesome taste with Poori or Paratha. Taro root, colocasia or popularly known as Arbi in Hindi. It is a vegetable from potato family. It is one of the finest sources of dietary fiber and also Arbi has more calories than Potato. It is a great side dish to go along with poori or paratha and dal- cahwal.